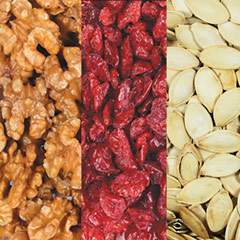 Sweet, salty, crunchy, chewy – every craving is covered with this delicious wholesome treat pack. There is something for everyone, and sharing is inevitable once people take a look at the delicious offering. With this mix there is no reason to pick a favorite. 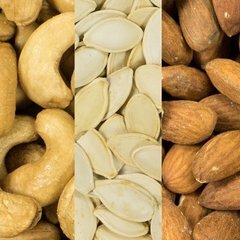 You can have them all: salty pistachios, raw walnuts, delectable salted cashews and a tart sweet blend of peaches, pears, apricots and prunes. These large cashews are one of our most popular snacks, and for good reason. These are no ordinary nuts. Delicately roasted to bring out their sweet, nutty flavor, these irresistible cashews disappear quickly, so order plenty. 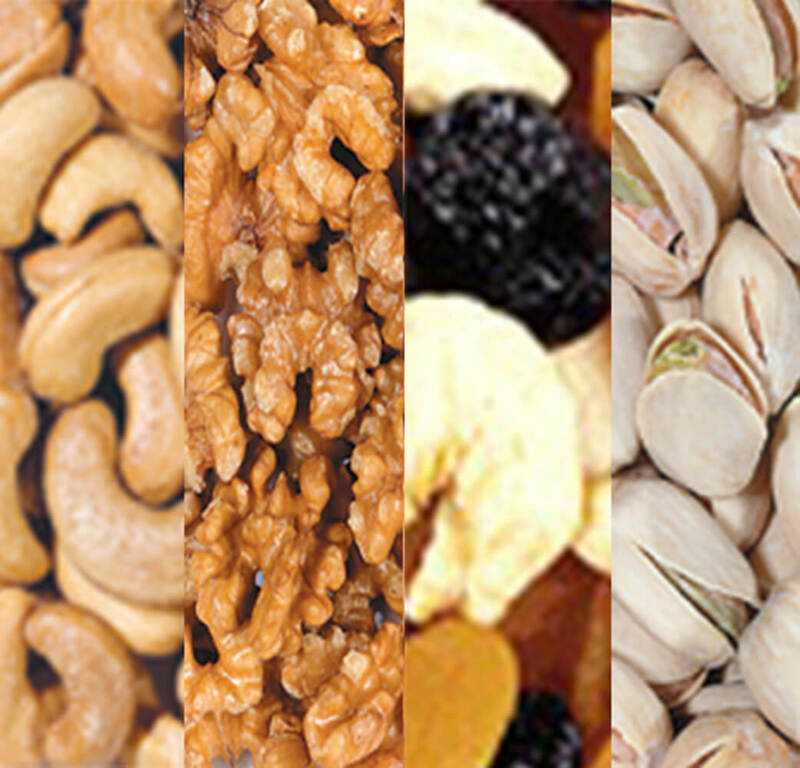 One ounce of cashew nuts has just 170 calories, 169 mg of potassium and 5 grams of protein. Delicious and crunchy walnuts have an exceptional taste that is perfect for baking, cooking, or as a topping on ice cream, yogurt, salad and more! Walnuts are a snack you can feel good about eating. Supportive but not conclusive research shows that eating 1.5 ounces per day of walnuts, as part of a low saturated fat and low cholesterol diet and not resulting in increased caloric intake, may reduce the risk of coronary heart disease. This delicious mix of dried apricots, prunes, peaches, and pears is a classic assortment that offers a bit of something for everyone. Drying preserves the sweet and delicate flavors of the fruits. Perfectly suited to enjoy as a snack, this selection also makes a wonderful addition to favorite recipes.